- pronounced "read to me" - A "tome" is a large book, often one volume of a multi-volume scholarly work. The RedTitan Interactive Voice Response (IVR) is an automated system that answers a phone call. In response to touch tones from a phone keypad, pre-recorded or dynamically created audio messages are played. Traditional IVR uses dedicated servers and a array of voice modems connected to a "hunt group" of telephone lines - an expensive solution. RedTitan IVR is based on Voice Over IP technology using a Public Switched Telephone Network gateway provider. This has a number of advantages over older systems. Telephone numbers can be selected to be "local" for client populations.e.g. Choose a New Jersey number even if the server is in Atlanta. 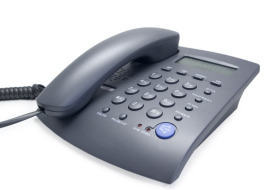 Client calls from increasingly popular VOIP phones are often cheap or free. In a typical application, a phone call is answered with a request for an account code and a password. Validated users may select message replay from a menu. A message is a text file that is spoken to the user using voice synthesis, this data can be can be generated from a database or even recovered directly from print files using RedTitan EscapeE. 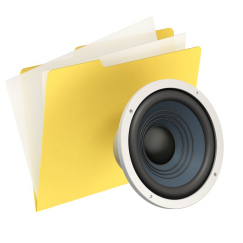 Static messages can be professionally recorded in a digital audio format. An Internet phone works by connecting a telephone handset to the Internet using a TCP/IP protocol called SIP or H.323. To get started you need to register your phone to a Public Switched Telephone Network gateway provider. RedToMe uses the SIP protocol from a provider like BROADVOICE or VOIPTALK to make the connection to "land line" services. When purchasing a SIP service you are often able to choose your own telephone number and you are give a login identification and password. If you ever want to "dial out" you must also purchase "credits" - we don't! In fact, the Session Initiation Protocol (SIP) is just a way starting a telephone call. When an incoming call is received, SIP is used to establish the connection and then the audio traffic is passed on to Real Time Transport protocol (RTP). There a lot of ports that have to pass through a firewall to make this work! There are many competing Text To Speech (TTS) Engines available for Windows. The default Microsoft engines are very good but there are specialised engines for most languages. RedToMe uses TTS to convert text from a script to audio and RTP to play the audio to a "dial in" user. Of course, the system will also play digital audio from other sources. RedTome uses the phone keyboard DTMF tones for simple interaction. RSL provides two functions for this purpose. Read a number from the phone terminated by the * or the # key. How RedTome manages message security. Security is not mandated; the "flood watch" script above, would work for all clients that knew the telephone number. Enforcing security is the responsibilty of the RSL script author. RSL provides two functions for "login" checking against a validation database of accounts and passwords. Read an ACCOUNT NUMBER from the phone terminated by the * or the # key. If a sub-directory exists in the application root directory corresponding to the number entered, the reserved identifier "account_status" is set to "1". This is the message directory for the client. A "client" message is an RSL script. The number of RSL scripts that exist in the message directory for the client is set in the reserved identifier "message_status". Speak messages in the client folder correspondind to the account number. Each message is prefaced by the creation time and date. RedToMe encrypts the account number and the password using a one way block cipher. Plain text passwords are not stored on file. Identifiers are used to hold numbers and must start with an alpha character and contain nothing other that alphanumeric characters plus "_". White space is ignored. A semi-colon is used to introduce a comment. Read the text. Punctuation is not required but full stops and commas help with the phrasing. This function used to read identifier as an integer using an extended form. The system attempts to use a plural form of the cited string as required. Play a pre-recorded ".wav" file. The file must be made in 11KHz 8bit Mono WAV format. Increment or decrement the number stored in the cited identifier. Various "helper" functions are provided to "read as" in a special format. date_mdy string month day year. date_dmy string day month year. Note that only number_digit and number_cardinal accept either identifier or literal string parameters. This allows key pad entry or "status" reserved identifiers to be spoken. RedTome speech synthesis engines may need help with words that are not in the lexicon. For example, end users might be offended by "Microsoft Anna" getting their name wrong! RSL uses a phonetic notation to voice these types of words correctly.